Joomla VirtueMart Marketplace Hyperlocal System: Joomla VirtueMart marketplace hyperlocal system is the latest trend in a marketplace ecosystem, which gives a new shopping experience. It helps to build trust among a shopper and local shopkeepers. A shopper just needs to enter his location while browsing the online store. The shopper can see only the products of all those sellers provide the shipping service in those locations. Sellers can also charge shipping cost accordingly. A seller can decide the shipping service area(s) and the corresponding rate also store admin can assign shipping area and shipping rate to a seller. 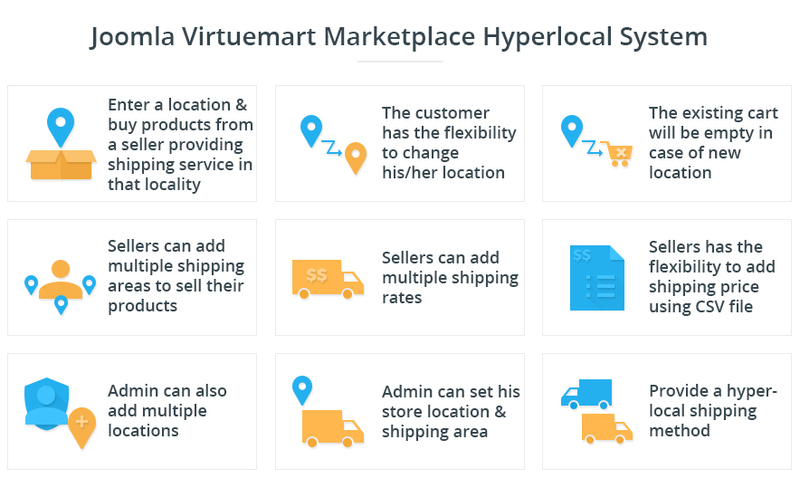 Joomla VirtueMart Marketplace Hyperlocal System - Joomla VirtueMart marketplace hyperlocal system is the latest trend in a marketplace ecosystem, which gives a new shopping experience. It helps to build trust among a shopper and local shopkeepers. The customer can enter the desired location and buy products from a seller(s) providing shipping service in that locality. The customer has the flexibility to change his/her location. Restriction on the shipping address, the customer can only use an address which belongs to the selected location. The existing cart will be empty in case of new location. A seller can add multiple multiple shipping areas to sell his/her products. The seller can add multiple shipping rates. A seller has the flexibility to add shipping price using CSV file. Admin can also add multiple locations. Admin also set his store location and shipping area. Provide a hyperlocal shipping method. Admin can create and assign shipping areas and shipping rates to sellers. An admin can set flat rate also. Admin can set email templates on different events. 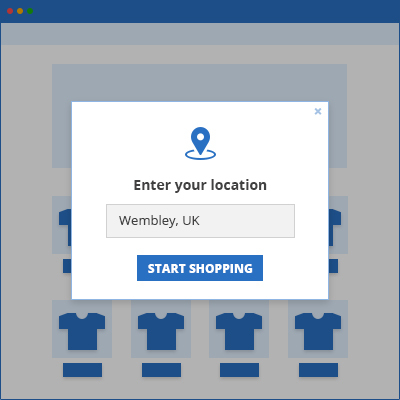 Enter location option have 2 views option, pop-up view and component view. Did you buy Joomla VirtueMart Marketplace Hyperlocal System?